After you had cool look at glitzy Opera 10 desktop wallpapers, grab the actual thing. 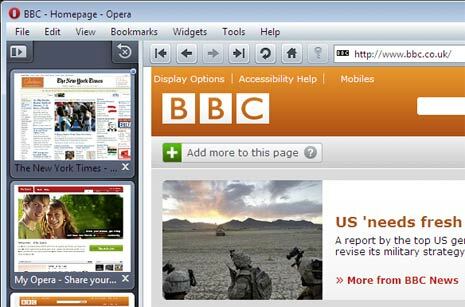 Opera 10 web browser is now available for free download and use. As expected, it comes with loads of features and enhancements. Opera 10 comes in 43 languages and works on Windows, Mac and Linux platforms. Browsing interface get little makeover for a streamlined and elegant look. Opera Turbo is the major new feature of version 10 of Opera browser. Opera Turbo mode compresses images on a webpage and serves up compressed, small sized and much quick loading web pages. You can easily turn ON Opera Turbo mode for quick browsing on slow internet connection. The same story continues,eventhis version also not compatible with many sites as mentioned in my earlier commentit is not compatible many Web sites. I am able to open all with Firefox,Chrome as well as Avant. Not able to open with the latest version also. What is the use, though it is fast.Switch to Avant finally. opera turbo is amazing…i have a great experience by using it..